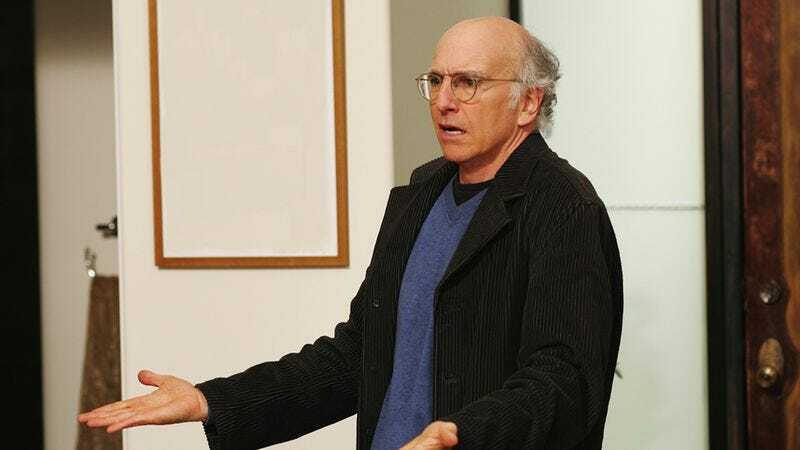 We’re doing everything we can not to make a “prett-y, prett-y good” joke this morning as The Hollywood Reporter brings word that HBO is reviving Curb Your Enthusiasm for a ninth season, presumably after Larry David got extremely indignant upon learning about the proposed Coach reboot. (“What, they’re bringing Coach back? If Coach can come back, I can come back! I’ve had breakfast bagels that were funnier than Coach!” Picture Larry David saying that.) HBO president of programming Casey Bloys confirms that David himself will star in the new series, telling Deadline, “We’re thrilled that Larry has decided to do a new season of Curb and can’t wait to see what he has planned.” (For his part, David says, “In the immortal words of Julius Caesar, ‘I left, I did nothing, I returned.’”) With no set episode order or premiere date at this point, though, there’s still plenty of time for a complicated, wickedly ironic series of misunderstandings that will end with Larry ruining everything.